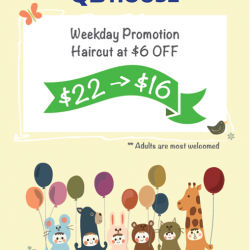 Please kindly take note that our weekday promotion at Waterway Point, QB HOUSE Kids outlet will end on 20 June 2016. Thank you for your continuous support. We will continue to serve you better!